Scientific advances depend not only on novel ideas and conceptual leaps, but also to a large extent on technological advances. Most scientists use some form of technology in their daily research, whether it be running a PCR in the lab, measuring oxygen concentration in a tank, or using remote sensing to track vast bird migrations. Technological developments in biology draw on a wide range of expertise in engineering, physics, chemistry, computer science, and management. An integral part of new technological discoveries is the partnership between scientists and those working in bioelectronics. 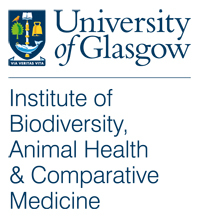 Here at the University of Glasgow, the bioelectronics team has worked with Institute researchers to develop everything from electronic mosquito sampling nets to automated lichen spore collectors. Love is in the air. This low-cost Automated Spore Collector (ASC) is capable of sampling 0.28 m3 of air per min with a motor speed of 1800 rpm. Photo courtesy of Nosrat Mirzai. In this week’s episode, Naturally Speaking’s Laurie Baker (@llbaker1707) visits the basement of the Zoology building to talk with Nosrat Mirzai and Jakub Czyzweski about what the bioelectronics unit is doing to help the Institute keep pace in a changing scientific world.